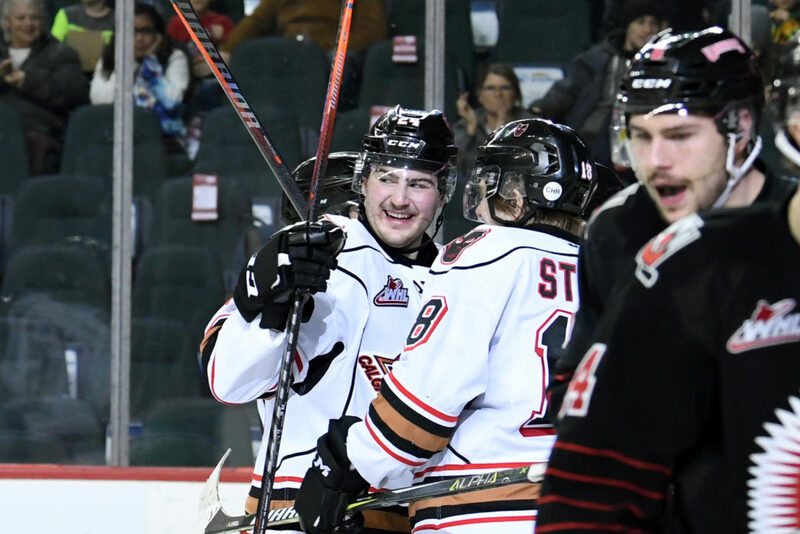 The Hitmen knew that that they needed a big bounce back performance following Friday night and they did just that with a dominating 6-2 win over the Moose Jaw Warriors. “Everyone was focused and had a good approach to the game,” Mark Kastelic said. “We knew there were things we needed to change and we executed on them. 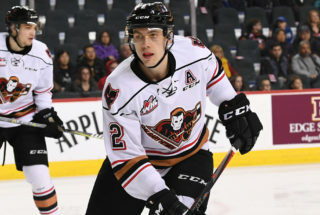 Six different Hitmen found the back of the net as Kastelic, Tye Carriere, James Malm, Kaden Elder, Riley Stotts and Cael Zimmeraman all scored. 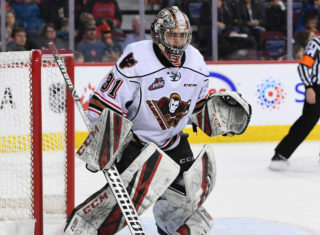 In his first start since Nov. 23, Carl Stankowski made 20 saves including a handful of breakaway stops to backstop the Hitmen to victory. 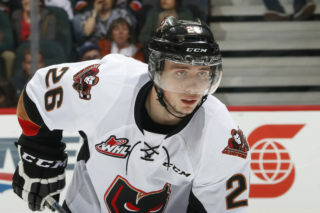 “I think two of them were on Ormsby who was my roommate back in Seattle,” Stankowski said. “I had an idea of what he was going to do so I’ll probably go give him a hard time afterwards but it felt good to stop those. Moose Jaw meanwhile saw their two goals come from Keenan Taphorn and Josh Brook while Brodan Salmond made 33 saves. 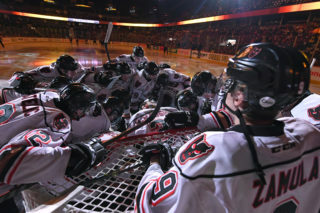 The Hitmen wrapped up the season series going a perfect 4-0 against the Warriors and outscored them by a total of 19-6. With six more goals scored Sunday afternoon, the offence got the jumpstart they needed after just two goals Friday and it came with some help of line juggling. “We needed a little bit of a reboot with our lines and I think they responded well to that,” head coach Steve Hamilton said. “We’ve had to be in the moment for a long time and have been scrapping for the last 30 games. The stretch that the bench boss referred to is the 7-1-1 mark in their last nine games played, as they continue to roll at the perfect time with the season winding down. With the victory, they now hold the first wildcard spot for the time being while being three points back of Lethbridge and four points back of Medicine Hat for second in the Central Division. And as fate would have it, the Hurricanes and Tigers are next on the schedule. “Our divisional challenge is right in front of us if we want to climb,” Hamilton said. 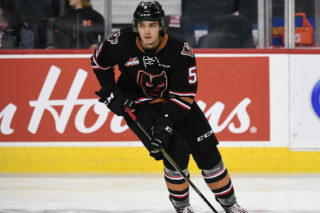 “If we want to move up we have to do it against the Med Hat, Lethbridge and Edmonton because those are the teams ahead of us.